I was recently invited to review a new Canadian website, HealthSnap.ca. Along with a variety of other health related products they offer beauty and skin care items at good prices. I was given the chance to try out $25 worth of beauty products for free to test out their site and customer experience. My initial experience with the site was a little frustrating. I did find that some of the lipstick colours I tried to add to my cart were immediately out of stock. Also, the colour representations were not always accurate. I definitely had to look up pictures and swatches for everything. I decided to go with three lipsticks, two Revlon Super Lustrous Lipsticks and a Rimmel Lasting Finish Lipstick. The checkout process was easy and my order shipped one business day later. I received my items no problem and all of the lipsticks were sealed. Here's where things started to get strange. Right now HealthSnap.ca is offering a free gift with every order. I ended up getting a bottle of vitamin D pills. This seemed a little random since I was reviewing the beauty product offerings of their site. However, what stood out to me instantly was that they expire in June 2015, all of 5 months from now. 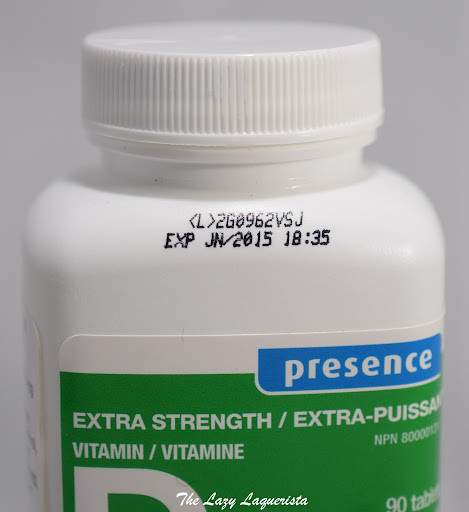 I checked the vitamin D pills I already had at home that I purchased several months ago to compare expiry dates. My vitamins have an expiry date of September 2016 and I've already had them for a while. I feel like this free gift is the equivalent of getting rid of soon to expire stock. This prompted to me to look up the batch codes of the three lipsticks I received. 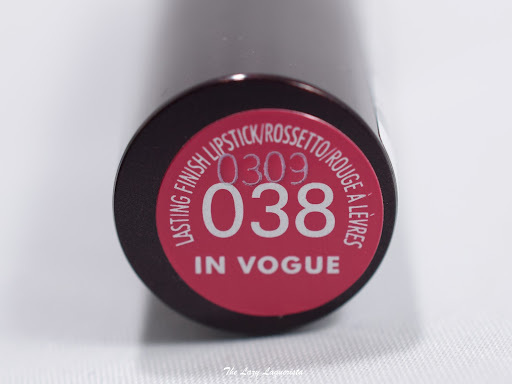 On the Rimmel this is the imprinted number on the bottom label. For the Revlons it is etched on the side of the tube. I used www.checkfresh.com to get the following production dates. 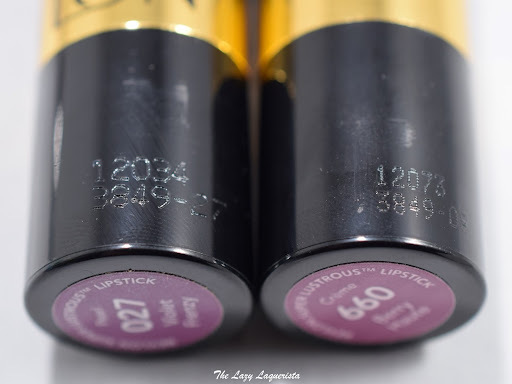 I also wanted to make sure these dates weren't typical so I looked up the batch codes for some Revlon and Rimmel products that I had purchased myself in store over the last year. The oldest, a Revlon ColorBurst Lip Butter, had a production date of 2013-08-27. This is a year and a half later than the newest of the three HealthSnap lipsticks and I've already owned it for several months. Thanks for being the manufacturing date concern to my attention. I’ve only been here just over a week so still getting to know the processes, inventory etc. I went investigating into this issue with the team here. What seems to have happened is since beauty/cosmetics is very new category for Kohl & Frisch (the parent company for HealthSnap), some new staff in the warehouse were unfamiliar with inventory control in this category. The company as a whole is used to dealing with OTC with a clear expiry date on the packaging vs a lot/batch # in beauty/cosmetics which requires more understanding as you know. With that said, with beauty/cosmetic products of this nature, there are no regulations by the government in both USA/Canada. A focus when dealing with ‘expiry’ is Period After Opening. Many brands have a stamp on their products with an expiry – after the packaging is opened. Some are 6 months, some are 24 months etc. Actually, that doesn't help at all. I'm still left with lipsticks that are very old, some of which have clearly gone bad. They did note that had I been a paying customer rather than someone receiving a press sample then my customer service experience would have been different and my items would have been refunded and/or replaced. However, I can only comment on the customer service that I received, not a hypothetical resolution for someone else. I received old cosmetics - some have expired, brought it to their attention and was basically told to deal with it. I didn't receive replacements for my unusable lipsticks. For a company with 'Health' in the name they don't seem concerned about selling healthy beauty products. I will not be making any purchases from them in the future and based on my experience I wouldn't recommend HealthSnap.ca to others. In general, when buying cosmetics online be sure to check the batch numbers of the items you receive to ensure they are still good to use. Another good option to do this along with www.checkfresh.com is http://checkcosmetic.net. 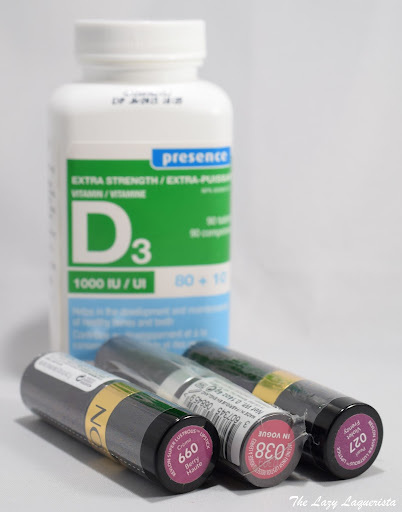 The vitamin pills make no sense with what your purchases were. Had it been something beauty-related, it would've at least been consistent. Instead, as you said, it looks like they're just trying to get rid of expired stock which leads more credence to them being fully aware of the expiration dates on some of their products. As I've already said to you, I don't think it's fair to cheat people just because they can. I am hugely worried about far less informed customers who just wouldn't know any better. They shouldn't be receiving old/expired products just because they're less aware than beauty bloggers. Well said post all in all. I'm sorry the experience was so crummy. Thanks Rachelle. Hopefully through my crummy experience someone will learn a little bit more about how to check their cosmetic purchases. Thanks for the heads up and the clear review - definitely won't be purchasing from them in the future! Great post! Really impressed you stuck to your guns and put something honest and real up. Thanks Julie! I just wanted to be honest about my experience while sticking to the facts of the situation. Thank you for sharing! Good to know info on where/how to check purchases! I'm glad you decided to go ahead and post this. Everything you said was factual and not emotional which is important when giving a negative review. Very well written and if I were working for HealthSnap I would want to remedy this ASAP. Hi update for 2018, just spent 1 week dealing with these morons. They sent the wrong product (earplugs), looked nothing like the original and sent product that was several dollars cheaper than what was ordered. Had to send them multiple screenshots (often of their own website) so they could determine problem was on their website. Then wanted me to ship the product back-long trip to post office, fill out multiple forms etc and would not admit to overcharging on the substituted cheaper product. Very surly, incompetent and totally indifferent to any idea of Customer Service. Oh no. I'm sorry to hear you also had a bad experience when they've had so much time to learn and improve. Mistakes happen to every company, but how a customer service department handles those mistakes can really set a company apart, for better or for worse.